As 2016 winds down, take a little time to improve your family finances for the year. Here are six easy money moves that can help your family start 2017 off on the right foot. Move #1: Check the balance in your Flexible Spending Accounts and use it up. This could include Health or Dependent Care Expenses. This is important! These types of accounts are “use it or lose it”. If you don’t get around to submitting your claims (which I have to do for my own family), this money is forfeited back to the plan. It’s easy to do if you are in the habit, but also easy to forget for a new parent. There may be a grace period, but this is one thing you need to get done. If your state offers a tax deduction for 529 College Savings Plan contributions, they must be made by December 31st (unlike IRA contributions). Check your state plan or ask your financial advisor for your plan’s deadlines or incentives. For more tips on college savings, download our Guide to College Savings for Savvy Parents. Find out what you have contributed to your 401K or IRA so far for the year. Max it out or top it off if you can. There are tax advantages to saving in retirement accounts, and even though you have until you file your taxes in April to make IRA contributions, why scramble at tax time? Also, employee 401K contributions must be made in the calendar year. Move #4: Inherited an IRA? Don’t Forget Your RMD. Required Minimum Distributions (RMD) are annual withdrawals that must be made from an IRA if the owner is over age 70½. 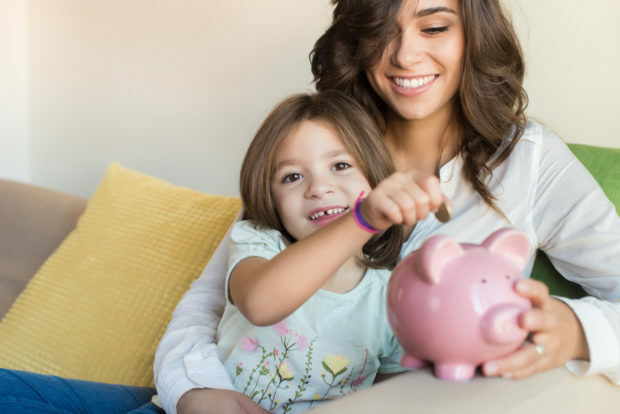 This doesn’t apply to too many young parents reading this blog, but you quite a few may have inherited an IRA from a parent or loved one. You may need to take withdrawals based on the age of the original owner. Consult your financial institution or advisor if this applies to you – there are IRS tax penalties if you do not take the distributions as required. Move #5: Check your Capital Gains and Losses in Taxable Accounts. If you have a realized capital gain in a taxable (not retirement) investment account, you may be able to offset it (and reduce the amount of taxes you will owe) by selling another investment with a capital loss. Or if you’ve sold stock or other investment assets at a loss, it may be a good time tax-wise to take a profit on another investment. These moves could potentially reduce taxed owed for 2016. There are tricky rules about selling stock at a loss and repurchasing that same stock within 60 days, so do your research or consult your tax or financial advisor regarding your situation. If you are feeling ambitious (and have a little free time), create a folder on your computer or online and call it “2016 Tax Stuff”. Scan and save tax-relevant information such as copies of receipts for charitable contributions, unreimbursed business expenses, and records of estimated tax payments throughout the year. This exercise definitely makes you feel a little ahead of the game for tax season and reminds you to get receipts or make contributions before the end of the year. And no need to scramble to find receipts at tax-time! With these six savvy money moves, your family financial planning will be a step ahead for 2017. Sara Stanich is President and Owner of The Stanich Group, a fee-only financial planning firm in New York City.